A group of 20 physicians with Ohio’s largest orthopedic practice, Orthopedic ONE, wished to create a destination, outpatient surgery center and medical office building in one of central Ohio’s leading retail environments, Easton Town Center. It was important that the facility reflect the physicians’ desire to provide high quality care and exceptional service in a comfortable, modern setting. 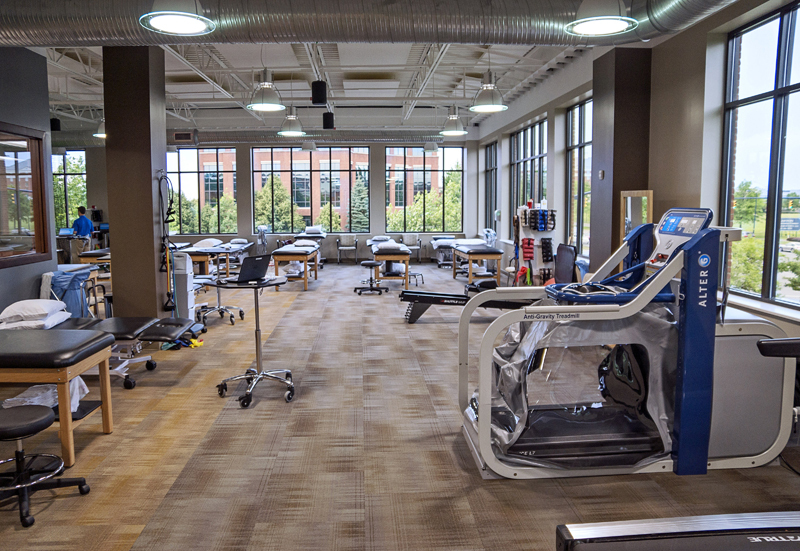 Hplex Solutions was engaged as real estate developer and partner to create a new 43,000 square foot center of excellence for outpatient surgery, physical therapy and future medical office use. The development of this Ambulatory Surgery Center (“ASC”) and Medical Office Building is located on the prime corridor of Easton Way and Stelzer Road. This is one of the heaviest trafficked corners in the United States. Acting as owner representative and developer, Hplex Solutions handled land negotiation, lending, contractor and architect selection along with full day-to-day oversight of the project during construction. The center’s five operating and procedure rooms house some of the most advanced and specialized equipment in the industry. From the covered drop-off and pick-up to the modern and comfortably furnished waiting area with wifi, coffee bar and flat screen TVs, the development team considered the entire experience. Among other interesting and innovative features, this project included the creative application of a unique floating floor and engineered spring system to reduce noise and vibration from the second floor therapy services complex to the operating and patient rooms in the surgery center below. Having successfully developed several Orthopedic ONE medical office buildings, and other ambulatory surgery centers, Hplex was positioned to bring several efficiencies and value to this project. In fact, the Medical Pavilion at Easton was completed on schedule with significant cost savings.